This clash was always going to be a huge one. 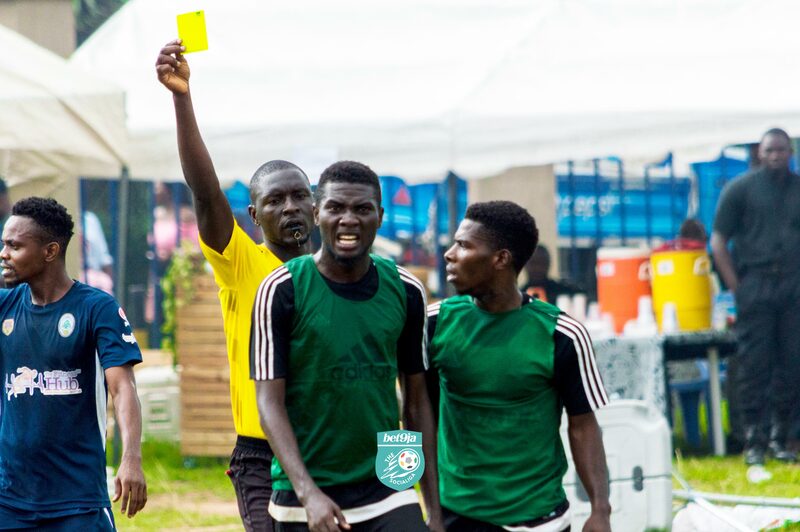 It pitted The SociaLiga’s reigning two-time champions, Saints & the new kids on the block who have looked like anything but kids, Dannaz. It also featured two distinct styles of play which was, perhaps, the most exciting thing about this game. Saints’ direct style of play was one. Island Conference teams would testify to how they’ve suffered from this over the last 2 years and a half. There was also Dannaz and their more patient approach to games & the fluidity offered by their front 3 that had seen them score 6 times in 2 games leading to Matchday 3. 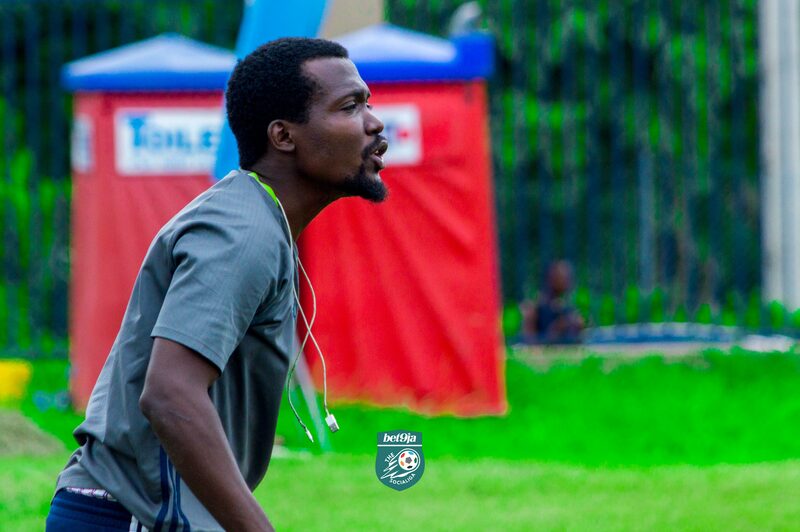 “We’re not in The SociaLiga to have fun; spend all this money, put all this effort, put in all these performances to go out 2nd or 3rd. We’re fighting for 1st place, definitely.” Just in case Dannaz haven’t been clear with their record tying 3 wins in a row to start the season, just in case there were people doubting their title credentials, that was manager, Danny Nazzal making his team’s intentions clear without mincing words. They want that title. They want to be crowned Champions. Nothing less. It wasn’t long before Saints came knocking Dannaz’ door. Well, technically, Dannaz did the knocking on their own door on Saints’ behalf. 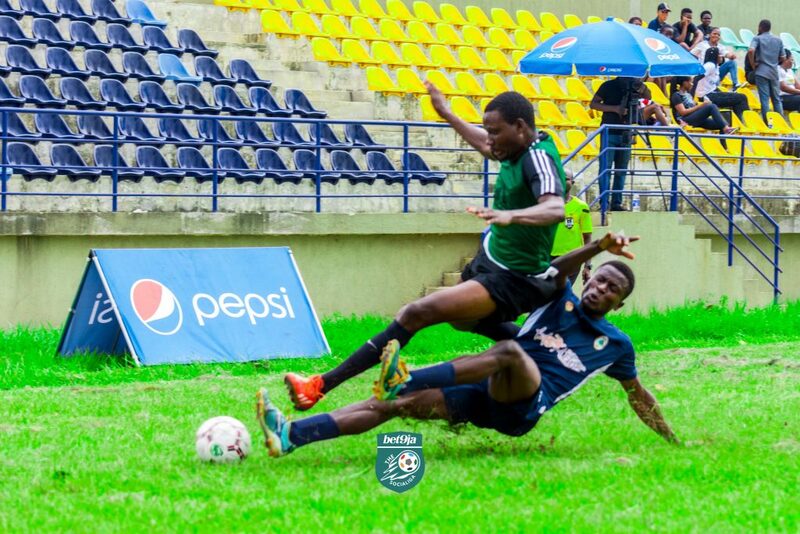 Dannaz center-back, Gbenga Balogun nearly turned the ball into his own net when he tried to clear Nurudeen’s cross with a mistimed header that luckily bounced off his right post and into goal-keeper, Princewill’s arms. An early warning. 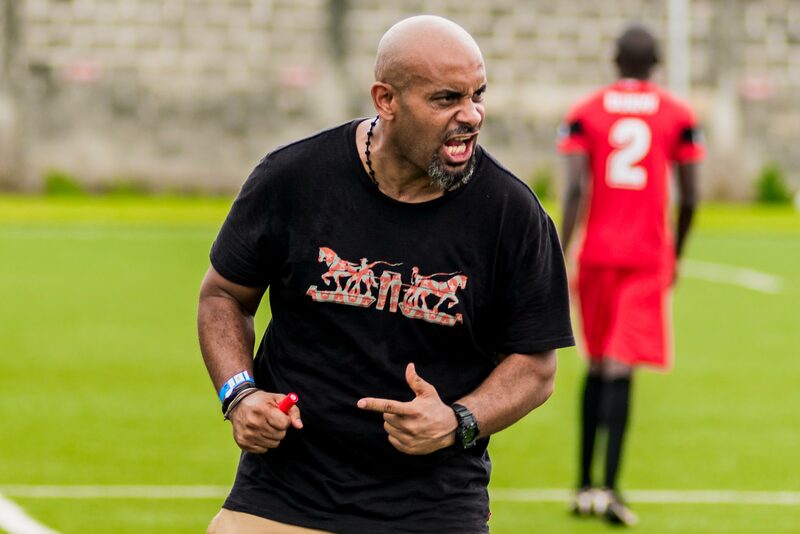 Waves of attacks by Saints were endured by Dannaz with Saints’ skipper, Hassan Azeez pulling the strings in the middle while Nurudeen was reminding everyone why he was named Regular Season & Finals MVP for 2017; it really was looking like the defending champions were minutes away from an early opener. 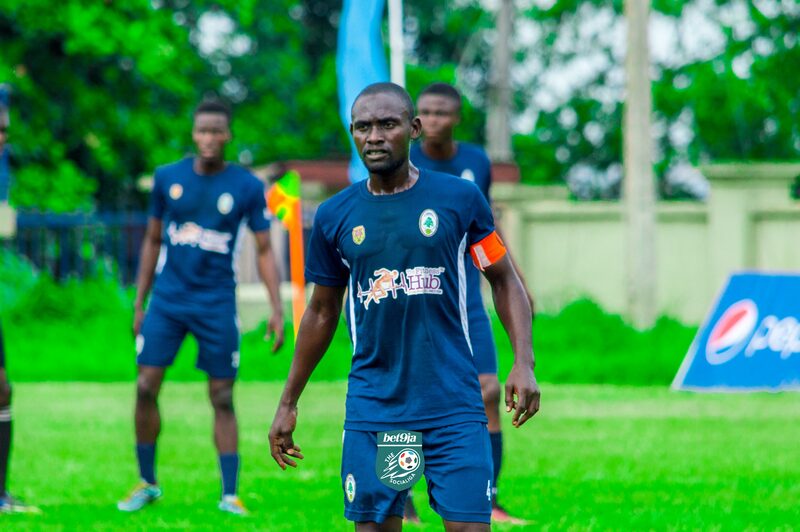 Dannaz were finding out first hand why Saints were champions and Saints manager, Kunle Ibaru could have as well been pointing to his Twitter header. Surprisingly (or not), Dannaz were able to weather the storm. They went ahead midway through the first half, thanks to a controversial penalty given against Saints’ Wale Olorunnimbe for an adjudged handball in the penalty box. When the league’s leading scorer, Joshua Obakimi stepped up to take the kick, you could feel the Saints’ players mentally resigned to restarting the game from the center-circle. He’s been that clinical this season. Dannaz carried their slim lead into the break but it was about to get heated in the second half. When the game restarted, it was more open and less tensed than the first half. 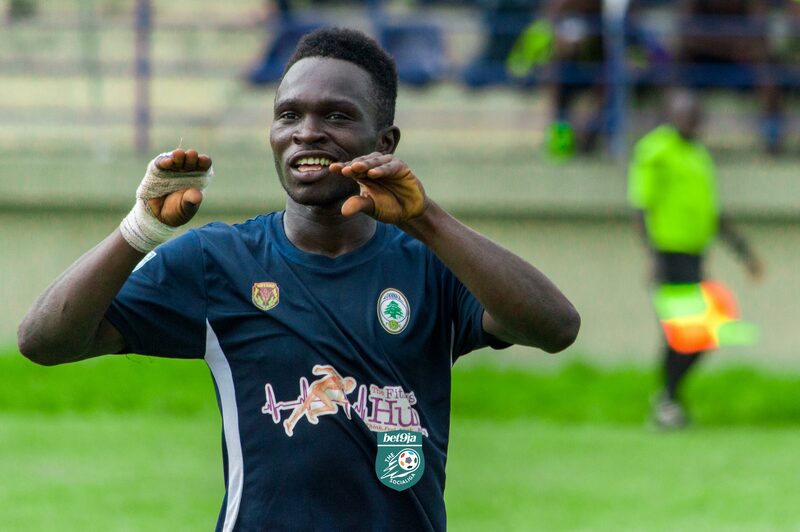 Both teams traded chances with Dannaz’ skipper, Bashiru Fatai and Joshua Obakimi missing chances to double their lead while Saints missed a truck load of chances of their own to draw level. The defining moment of the game came when Joshua Obakimi latched onto a miskicked clearance in the heart of Saints’ defense and cleverly hung the ball at the top left corner to send Dannaz 2-0 up with minutes left on the clock. It was a huge statement, a bold one that silenced Saints FC. The last time they were stunned in the Regular Season was 2016 when they lost to Royals. Saints’ top scorer this season, Otubu Mahmoud pulled one back from Nurudeen’s brilliant assist but it was too little too late. 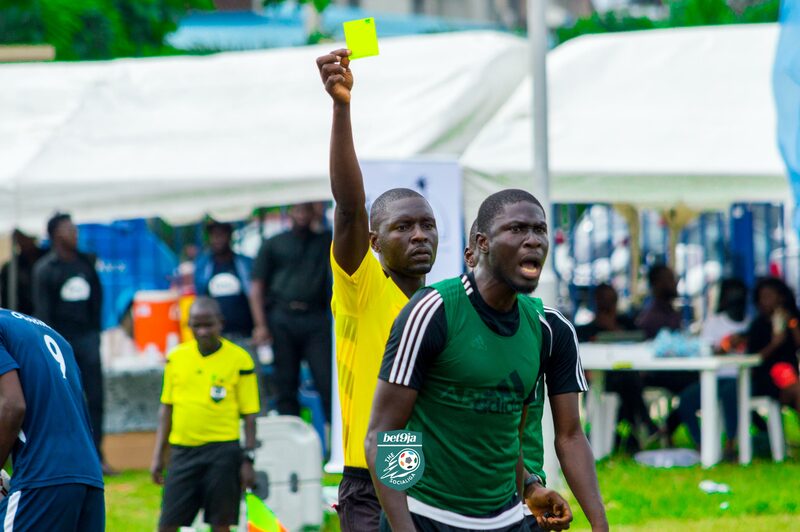 The referee signaled for full time, a win for Dannaz FC. Saints assistant manager remained audacious in his post-match interview. He dismissed the loss and blamed the officiating and a brief lapse in concentration for the result but never credited Dannaz for their effort. Instead, he did promise them they would feel the “the true might of The Saints” in the reverse fixture in July setting us up for what could be an even tastier encounter.